Get great apps for FREE! Each day Apps Gone Free delivers a number of apps, many which are usually paid apps, free to your device. Once you download them, you own them! This is great for keeping up with new apps, finding alternatives to other expensive apps, or even occasionally getting top apps free of charge. 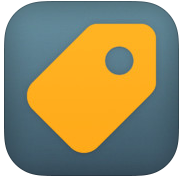 Add this app to your device and check it daily to never miss a “sale”.